This symposium brings together some of the artists and scientists involved in the DYSCORPIA: FUTURE INTERSECTIONS OF THE BODY AND TECHNOLOGY exhibition at Enterprise Square Galleries www.dyscorpia.com Many of the collaborations and projects have been formed and fostered as a result of the LASERAlberta 2018 speaker series. The symposium will take place in Room 2-630J Enterprise Square, 10230 Jasper Avenue, Edmonton, T5J 4P6 on 27th April from 10am to 3pm. There is FREE ADMISSION but as space is limited booking is essential. 10 – 10.45am KEYNOTE Presentation by Isabelle Van Grimde on Eve 2050. Vadim Bulitko is Professor of Computing Science at the University of Alberta in Edmonton. He received his PhD from the University of Illinois at Urbana-Champaign. His work focuses on building strong experimental models of artificial intelligence in order to assess their heuristic value in the field. He ultimately strives to enhance our understanding of the nature of intelligence and cognition in human and animals through such computing modelization and experiments. He specializes in the application of artificial intelligence in computer games in which narrative and cognitive processes and models play a central role, especially through advanced simulations of population behavior. Sean Caulfield is Centennial Professor of Printmaking and Art & Design at the University of Alberta in Edmonton. His visual work focuses of the ancestrality and possible futures of bodies and organisms in regards to the transformations of our living environments. He has exhibited in Canada, the US, Europe, and Japan. Recent exhibitions include: Perceptions of Promise (Chelsea Art Museum, NYC), The New World (The Centre for Modern and Contemporary Art, Debrecen, Hungary), and Imagining Science (Art Gallery of Alberta, Edmonton). His work is in various important collections including the Harvard University Houghton Library, the Fitzwilliam Museum in Cambridge, UK, and the Blanton Museum of the University of Texas in Austin. Astrid Ensslin is Professor of Digital Humanities and Game Studies at the University of Alberta in Edmonton. Her work, funded by the Social Sciences and Humanities Research Council of Canada (SSHRC), focuses on innovative models of digital fiction as well as on bodily representations with regards to the latest advancements in narrative theory. She has published extensively in her field, notably Literary Gaming (MIT Press, 2014), Analyzing Digital Fiction (with Alice Bell & Hans Kristian Rustad, Routledge, 2013), and The Language of Gaming (Palgrave 2011). In 2017 she joined the Board of Directors of the Electronic Literature Organization (ELO). Gary James Joynes (aka Clinker) is a sound and visual artist who has been active in the international live audio-visual and experimental music performance community for many years. He works in Edmonton and is a prominent figure of its local art scene, having had successful exhibitions at DC3 and as part of Nuit Blanche. He blends the beauty and physicality of sounds auditory and visual elements in Live Cinema AV performance and in emotional photo and video installation works. His work is focused on the active process of listening to, looking at, and feeling art; slowing down time and linking sensoria to allow for immersion in a whole body experience. Jonathan Garfinkel's written works have been translated into twelve languages, and his plays have been produced throughout Canada, Germany, Russia and Ukraine. He is the author of the books of poems Glass Psalms (Turnstone Press) and Bociany/Storks (KFB, 2017). He has written numerous plays including The Trials of John Demjanjuk: A Holocaust Cabaret and the Governor-General shortlisted House of Many Tongues. His memoir Ambivalence: Crossing the Israel/Palestine Divide was published in five countries to critical acclaim (Penguin Canada and Norton & Norton US). Garfinkel is also an award-winning non-fiction writer; his journalism has appeared in places like The Globe and Mail, The Walrus, Eighteen Bridges, Tablet and PEN International. In 2015 he was commissioned to adapt Rawi Hage’s novel Cockroach for the stage, which premiered at Alberta Theatre Projects in Calgary in 2016. Named by the Toronto Star as “one to watch”, he is currently doing a PhD in MLCS at University of Alberta with a focus on Health Humanities. Daniel Laforest is Associate Professor of Cultural Studies and French at the University of Alberta in Edmonton. His work, funded by the Social Sciences and Humanities Research Council of Canada (SSHRC), focuses on the role of literature in Medical Humanities. He examines how medical visualization at the microscopic level of cells and tissues and at the macroscopic level of health data mining and distribution impacts individual life-stories and the sense of self. He has published extensively in Canada, France, the US, and the UK, and has done artist residencies at the Banff Centre Leighton Colony. He was Visiting Scholar at the Stanford University Center for Biomedical Ethics, and is alumnus of the Fulbright Foundation. Lianne McTavish is a Professor in the History of Art, Design, and Visual Culture at the University of Alberta. Her interdisciplinary research centres on early modern French medical imagery, which she has published in Social History of Medicine (2001), Medical History (2006), and a monograph titled Childbirth and the Display of Authority in Early Modern France (Routledge, 2005). She is currently completing her fourth book, Illness as Opportunity in Early Modern France. Dr. McTavish has curated several art and science exhibitions, including Perceptions of Promise in 2010 and Flux in 2017.
aAron Munson is a Canadian filmmaker, cinematographer and multimedia artist. His work has taken him from his personal studio to war zones, high-Arctic weather stations, reindeer nomad camps in Siberia, and the Arabian Desert. His art projects focus on extreme human experiences, both far from and close to home. They utilize film, video, photography, and sound to create visual explorations relating to mental illness, memory, and the nature of consciousness. His major 2018 work, Isachsen, which was shown at dc3ArtsProjects in Edmonton, stems from a daring expedition he undertook to a dilapidated weather station in Nunavut in order to explore the ties between isolation, the harshness of the far North, and depression. Brad Necyk is a visual and digital artist based in Edmonton. His work aims to foster the co-creativity of art projects with people living with illness in communities across Canada. He has worked with recent transplant patients, head and neck cancer patients, suicide survivors in the Arctic, and psychiatric patients at the Centre for Addiction and Mental Health in Toronto, embedding the resulting pieces in artworks made using 3D video rendering and virtual reality. He also draws on his own illness experiences, weaving and knotting them with the co-created works he produces across the country. He aims to tell stories of illness with the hope to increase our confidence and capacity in expressing and discussing these meaningful events in our lives. Marilene Oliver is Assistant Professor of Printmaking and Art & Design at the University of Alberta in Edmonton. Her work is at the crossroads of new digital technologies, traditional print, and sculpture. It focuses on producing objects that bridge the virtual and the real worlds. She uses medical scanning technologies such as MRI, CT, and PET in works that allow us to materially contemplate our digitized selves. She has exhibited internationally, at the Royal Academy in the UK, the MassMoCA in the US, and the Copernicus Museum in Poland. Her work is also held in a number of private and public collections around the world. 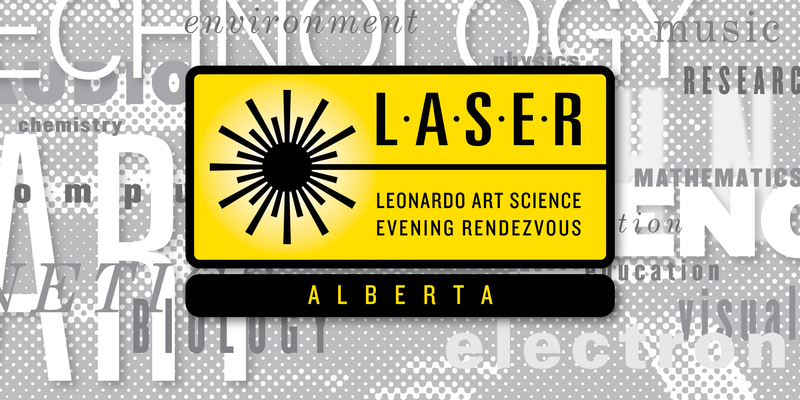 She leads LASERUalberta, a series of Arts-Science public talks affiliated with Leonardo ISAST. Geoffrey Rockwell is a Professor of Philosophy and Humanities Computing at the University of Alberta, Canada. He received a B.A. in philosophy from Haverford College, an M.A. and Ph.D. in Philosophy from the University of Toronto and worked at the University of Toronto as a Senior Instructional Technology Specialist. From 1994 to 2008 he was at McMaster University where he was the Director of the Humanities Media and Computing Centre (1994 - 2004) and he led the development of an undergraduate Multimedia program funded through the Ontario Access To Opportunities Program. He has published and presented papers in the area of philosophical dialogue, textual visualization and analysis, humanities computing, instructional technology, computer games and multimedia. He is the project leader for the CFI (Canada Foundation for Innovation) funded project TAPoR, a Text Analysis Portal for Research, which has developed a text tool portal for researchers who work with electronic texts and he organized a SSHRC funded conference, The Face of Text in 2004. He has published a book "Defining Dialogue: From Socrates to the Internet" with Humanity Books. Scott Smallwood is Associate Professor of music composition at the University of Alberta in Edmonton. He is also a sound artist, composer, and performer whose work spans from acoustic concert music to interactive installations. As performer and improviser, he is one-half of the laptop/electronic duo Evidence (with Stephen Moore) and has performed with many others, including Yanira Castro, Seth Cluett, Curtis Bahn, Mark Dresser, Cor Fuhler, John Butcher, and Pauline Oliveros. He has written acoustic and electroacoustic works for a variety of performers and ensembles such as the New York Virtuoso Singers and the Nash Ensemble of London. His sound installation work has been shown worldwide. Montreal choreographer Isabelle Van Grimde approaches the dancing body in a transdisciplinary manner. Her research and creative work is enriched by various disciplines, offering a pluralistic and resolutely contemporary vision of the body. Concepts from cutting-edge research in science and humanities are interwoven with ideas from theatre, music and literature to create a dynamic dialogue through dance. This approach leads Isabelle Van Grimde to collaborate with artists and researchers from various disciplines incorporating digital technologies into the creation, production and presentation of her works, forming a wide array of artistic gestures aimed at rethinking and reconfiguring dance. Stage productions, choreographic concerts, installations, performances, publications and interactive web-based works are all part of her company Van Grimde Corps Secrets's repertoire.